Zenport QZ431 Anvil Professional Pruner, 1-Inch Cut, 8.3-Inch Long. 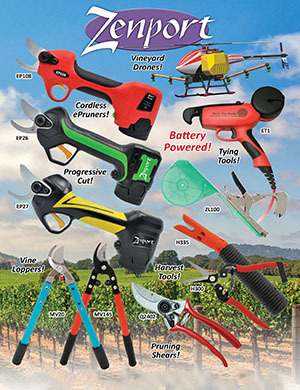 Suitable for every type of pruning with its ergonomic hand fitting design. Superbly balanced, this anvil pruner offers a large cutting capacity. Narrow pointed anvil blade allows easy access to twiggy branches and assures a close cut to the trunk. Precision alignment of cutting and anvil blade is due to adjustable locking segment. Easy blade replacement. Shock absorbers reduce fatigue of wrist. Zenport QZ431 Anvil Professional Pruner, 1-Inch Cut, 8.3-Inch Long.